The North Platte Catholic Schools Board of Education met Tuesday, December 18th for its monthly meeting. The Board approved pay raises for faculty and discussed the scheduling of a financial records review of fiscal year 2018/2019. Endowment Director Wendy Dodson presented a summary of the PR Committee meeting held on December 3rd, and Superintendent Kevin Dodson presented the 2018/2019 North Platte Catholic Schools Profile. Included in the profile data are student and staff demographics, as well as activities participation, graduation rates, and college attendance statistics. St. Patrick’s students and staff will host the annual “Retired Friends” dinner and program on December 21st before classes dismiss at Noon. School resumes on Thursday, January 3rd. The next Board meeting will be held Tuesday, January 15th, 7:00 p.m. in the St. Pat’s High School library. 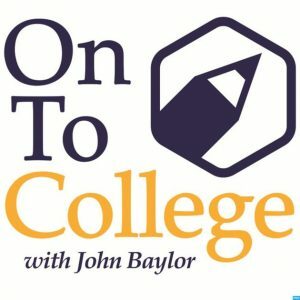 This segment by John Baylor is called: Helping families and schools create two and four-year college graduates with minimal debt. Video 1: CDR-a critical measure to know before saying YES to any college. Juniors and Seniors may have seen this in class. Video 2:Parents- Tough Love-How to have the money talk with your teens. Video 3: Good and band US News Study Tips and Canadian Options. Once again these segments are only about 7 minutes. Well worth the watch and so very full of information! Are both now available for download from Google and Apple mobile market places. Users will have access to many of the same great tools enjoyed in the previous versions with a few changes. 1) Interface: You will notice "School" and "Personal" tabs for your convenience and also an emphasis on quick and easy access to student grades which now pop up when visiting the Personal Tab. 2) All Features are FREE: Sycamore has always tried to maintain a one-line item company. The last app didn't lend it self in doing so. Every feature in this new version is part of a the free package. Features from the premium version will arrive in the free version shortly. A staff app will be released shortly. If you are trying to login with the old version you may experience some difficulty so please remove the old version from your device and use the appropriate app that features the images seen here.